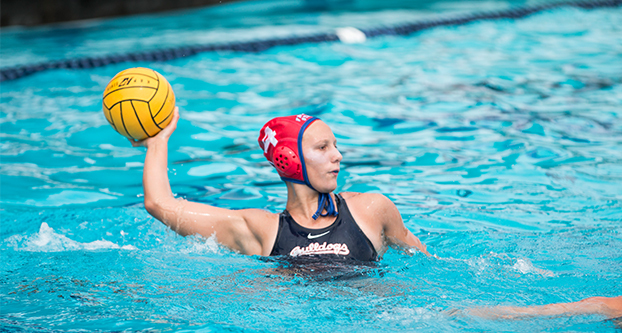 Fresno State’s water polo team had one of its best offensive performances of the season, but still fell short to UC San Diego, 13-11 at the Aquatics Center on March 31. The first few minutes of the match went scoreless until halfway through the first quarter when Bulldogs’ freshman Emily Nicholson put her team on the board with a goal. That goal seemed to open the floodgates as freshmen Maci Layne and Natalie Espinoza followed with goals of their own. The Tritons quickly answered back with two straight. Dogs’ freshman Emily Nicholson then added a score with just a few ticks left on the clock to give her young team a 4-2 lead after the first quarter. From then on, both teams went on scoring barrages. The Tritons’ Krista Schneider and Bulldogs’ Jillian Gross traded goals, and Fresno State held a 5-3 lead. After two consecutive goals by UCSD, the Bulldogs’ leading scorer for the season, Callie Woodruff, scored two quick goals along with another by Sydney Coachman. Not to be deterred, UCSD again followed with a pair of goals, and at halftime, the two teams had combined for 15 goals, with the Bulldogs leading 8-7. “We put more shots on goal today for the goalie to either block, deflect in or to score, and I think they paid the dividends of that,” head coach Natalie Benson said. The ‘Dogs kept that aggressive mentality up, but were not able to carry the first half momentum into the third period. UCSD scored two quick goals to begin the third and took its first lead of the match, 9-8. 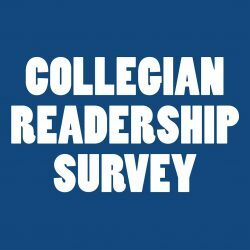 But Fresno State’s freshmen-laden roster continued to exhibit its resolve through adversity as the Bulldogs answered with three goals of their own by Woodruff, Coachman and Isabella Magno to give them an 11-9 lead. The Bulldogs’ offense that had been so effective stagnated in the final quarter, while UCSD continued to put the pedal to the metal, scoring four consecutive goals while the Bulldogs were unable to put the ball into the net. Woodruff, who netted a hat trick, said that losing a game they seemingly had in hand is a tough pill to swallow, but there are still things they can take away and build on for future games. “It was rough not being able to finish it off, but then again there are also a lot of positives. We have had a lot of trouble starting the game, but we were able to finish [strong]. [This time] we were able to start but not able to finish,” Woodruff said. 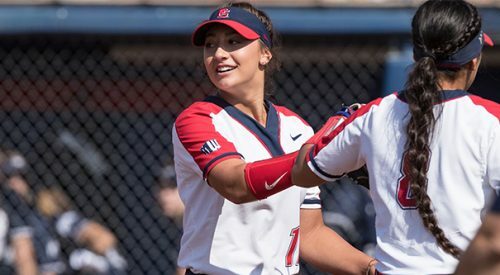 Benson echoed her star player’s thoughts, adding that she likes the progress the team is making in just its inaugural season as a program at Fresno State. With the lose from No. 11 UC San Diego, the ‘Dogs are now 4-13 overall and 1-2 in conference play. The Water ‘Dogs will be back at the Aquatics Center to compete against San Diego State on April 8.